Wireless button for your Gigaset elements alarm system. This enhancement gives you full control over your Gigaset elements alarm system even without your smartphone. By simply clicking this button, you can activate or deactivate the alarm. You can also switch your home devices on and off without any difficulty if connected to the elements smart plug. Maximum running time thanks to original spare parts. 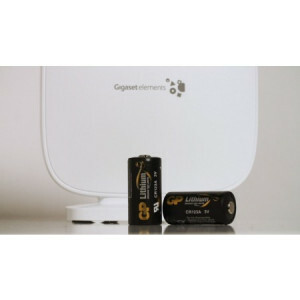 The replacement battery ensures that your Gigaset elements motion, door, window and button always have enough energy.